A traditional embalming and in-ground burial usually come to mind when burial services are discussed. They may have been the usual tradition for decades, but, the current trend is moving towards Funeral Cremation. One of the primary reasons for this is the reduced cost. A scattering ceremony can be conducted. Disposition by fire brings horrible connotations to some. However, the embalming procedure also has unpleasant implications. It seems to be a matter of personal opinion as to which is preferable. The most important thing to consider is the reputation of a funeral director to serve the family. It should go without question that the remains are treated with the utmost respect through all phases of the process. 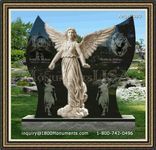 A memorial service can be held that is comparable to one held prior to an in-ground burial. 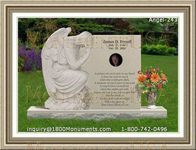 In fact, the cremains, as the cremated remains are referred to, can be buried in a cemetery. The ashes may also be retained in a funerary urn. The family of the departed can also scatter the ashes in a place chosen by the decedent. The same services can be arranged to follow the cremating procedure. There are some religions and some cultures that require family members to witness the actual cremation. Most directors can arrange for this attendance. Many cemeteries build and maintain a columbarium. This is an indoor or outdoor structure that has spaces in which to place the cremains. A plaque identifies the decedent interred within. An urn can also be kept in the home of a family member. Sometimes more than one family member will want to keep those ashes. 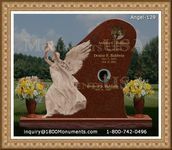 In those cases, smaller urns can be purchased to each hold a portion of the ashes. In this way, everyone is happy. Funeral Cremation is one option that can resolve disagreements. 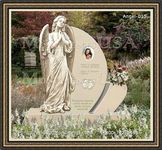 It allows for any type of memorial service and burial of the ashes is also a possible choice. Burial will allow the deceased to join other members in the family plot.